Pre-Launch Announcement for Book Series! Pre-Launch Announcement for Next Week’s Book Launch & Crowdfunding Campaign! Next week, the Summer Solstice will mark the launch of a paradigm-shifting new book. My first work of FICTION! I need your help to make that launch a success! On June 21 st , you will be able to purchase “The Chronicles of the Upheavals” through a unique crowdfunding campaign, one that will insure the future success of the writing. You all know the traditional book editing process: write the book, then try to find a publisher or literary agent who will take the work from manuscript to printed book. It’s been that way since Gutenberg. Welcome to the 21 st Century… and a new way to publish books. “Crowd-publishing” involves pre-selling the book to interested readers… with publishers gauging the book’s potential from the number of pre-sells it generates. The crowdfunding campaign will insure that the book reaches the widest possible audience, as quickly as possible. Proceeds of the campaign are tax deductible, and will be used to fund the writing of Books 2 and 3, to complete the series. 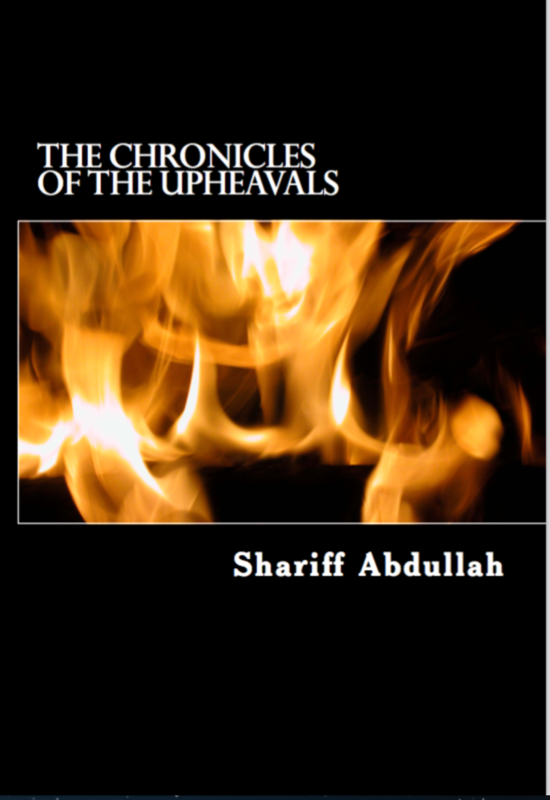 The first book in the series, “The Chronicles of the Upheavals”, is available NOW! This way, you can read the book AND invest in future installments! Through this crowdfunding campaign, the risk to you is… none. If the campaign fails to achieve its target, your money is refunded. If it succeeds, you get a book that reviewers have called “compelling”, “riveting” and “can’t put it down”! It’s simple: next week, BUY THE BOOK! Each purchase will bring us one step closer to the campaign goal. And, each book purchase is a vote for our future. Humanity is about to transform. And its going to be messy… It’s the year 2125, and the human world has had its mega-crises. Just about everything that could go wrong, did. Billions of humans perished in the human-caused cataclysms. Despite the Upheavals, humanity made it. From the excess of waste, the shock of dysfunction and the fog of denial, humanity moved into new ways of working with each other and working with the Earth. We made it… but HOW? That’s the question “The Chronicles of the Upheavals” will answer! “Chronicles” is not apocalyptic or dystopian. While there are plenty of gun-toting paramilitaries, brain-dead politicians, religious crazies, druggies, warlords, fundamentalists, survivalists, refugees, even a few cannibals… the story is not about them. It’s about how we humans transform ourselves, our systems and structures, DESPITE those who remain in the fog of denial. 1. Buy the book on June 21 st (or as soon after as you can). Buying within 30 days will insure the success of the campaign and create the “buzz” that will insure the book reaches its widest audience. 2. Send next week’s book launch announcement to everyone on your contacts list… twice. Once at the beginning of the campaign, and a second time in the last five days, to push us over the top. 5 Responses to Pre-Launch Announcement for Book Series! Can’t wait to read it. Looking forward to seeing what you have to say. Congratulations! Will an e book version be available? Yes! The e-book version will be ready on Tuesday, with the print version available shortly thereafter. Good to hear from you. Stay tuned! Shariff, how do we buy the book? I confess I am very weary and may have overlooked the link to purchase but could you make it big and bold for the likes of me? Thank you. Thanks for your (very early!) support! The book goes “live” on TUESDAY. And, I promise that the purchase button will be big and bold!